Zerodha Streak is one of the prime examples of how using technology can make the life of a trader much easier. Technology is used as an enabling mechanism across different industries and sectors bringing ease and convenience to the user. 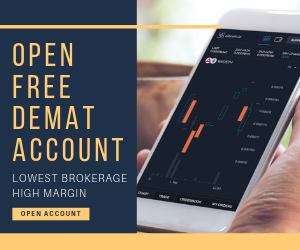 As far as trading is concerned, different stockbrokers are using technology in improving their trading platforms, customer support, research quality and other related aspects. Zerodha, a leading discount stockbroker in India, has invested has a sum of ₹2.25 Crore in an algo-trading based Fintech company, Streak. This investment is done through Rainmatter, the investment incubator from the discount broker. 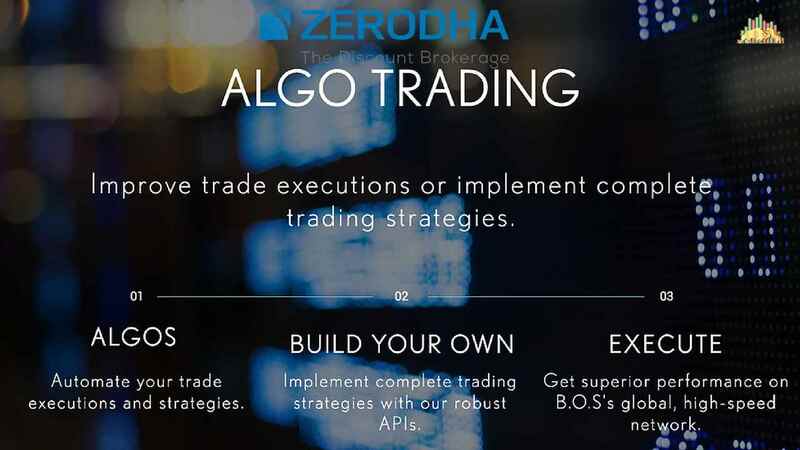 Now, we know that Zerodha is one of those stockbrokers in India that keeps an exhaustive focus on technology and it can be seen through some of its high-performance trading platforms including Zerodha Pi, Zerodha Kite and so on. At the same time, it keeps on collaborating with small start-ups that work on specific Fintech products including Zerodha Smallcase and now Streak. However, to use this, you will need to open a Demat account with Zeordha. In this review, we will walk through the basic review of Zerodha Streak and how you can actually use it in your trades. Zerodha Streak is a cloud-based semi-automated algo-trading platform integrated with the major trading platforms of the discount broker. This is a web-based application, thus implying, you do not need to download or install any software to use Zerodha streak. You can access it through any browser such as Mozilla, Chrome, Safari or internet explorer. Furthermore, this platform allows you to trade on stocks listed on the National Stock Exchange only (NSE). For easier understanding, let’s take an example. Let’s say Vijay is an intra-day trader and has recently started trading in the stock market. In order to make consistent profits, he has to stay glued to the terminal screens for the most part of the trading sessions. Now, this used to be fun at the start, but now with time, it takes quite a bit of toll and gets exhausting, thereby affecting Vijay’s hit rate in his trades. Furthermore, there are instances where his emotional biases come into play and he plays subjective rather than staying objective in this trading decisions. One way out is, that he learns to code and also gets access to super-cool algorithms that can assist him to quicken up his trading decisions while keeping them completely objective. Now, this can be termed as close to impractical for most of the traders including Vijay. 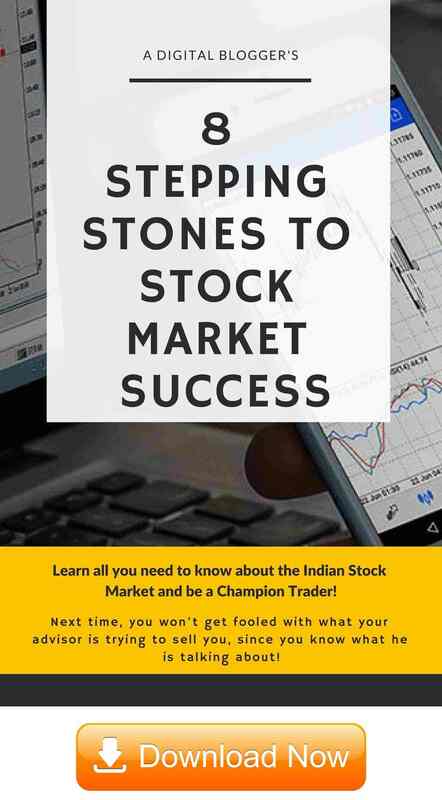 This is where tools such as Zerodha Streak come into the picture that does not require you to perform any coding or have knowledge of any trading algorithms on your own. With Zerodha Streak, you just need to input your strategy in terms of few input values based on your preference. In other words, Vijay or any trader basically need to input specific values about the trade, validate the results of the algorithm based on historical performance & market data and then deploy the trade, if it seems profitable. 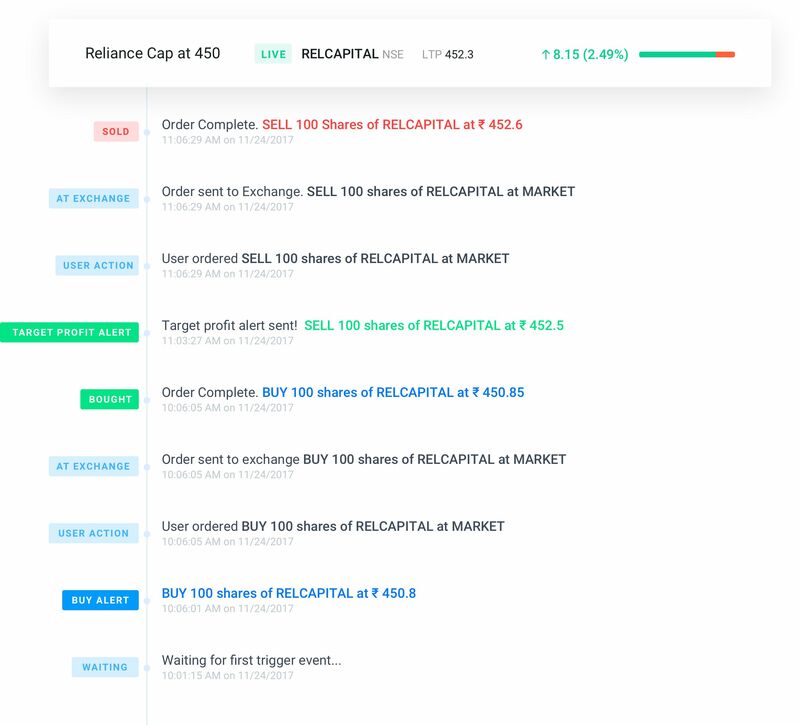 Zerodha Streak – How it works? As mentioned above, you need to follow three simple steps. Now, within these 3 steps, there are some specifications you need to take care of. To start with, you need to create an algorithm within Zerodha Streak and for that, you can use any of the technical indicators (that you can further customize) or available trading signals by entering your enter and exit signals. This can be done for multiple stocks at the same time. While you are providing inputs, you need to select aspects such as charting interval in the range of 1 min, 5 min, 1 hour, 1 day etc depending on your trading preferences. At the same time, you need to enter the target price and stop loss percentages as well. Remember, no need to put in monetary values and just percentages will do. Once you create, you can backtest the results by viewing the results and further, editing some of the key metrics in order to meet your requisite returns. However, make sure whatever editing you do with metrics such as stop loss percentage, target profit, candle interval etc, you must stick with those numbers with the chosen stocks. Otherwise, it will only kill the purpose of the usage of Zerodha Streak itself. 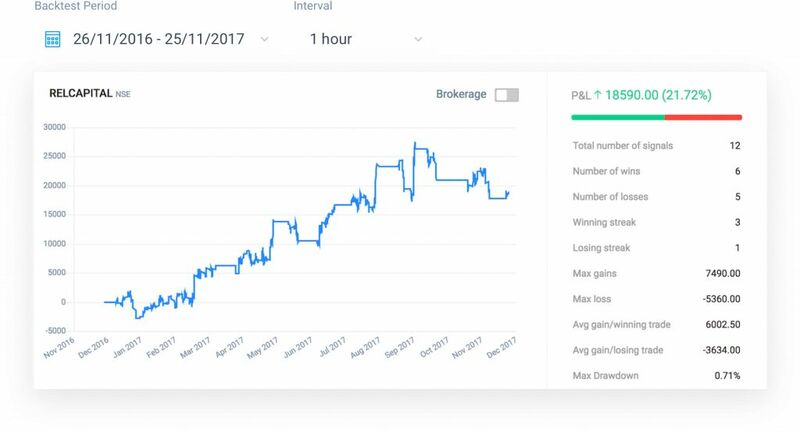 The backtesting results provide you with information on maximum gains, maximum loss, average gain per winning trade, the average loss per losing trade, maximum drawdown etc. With these results in front of you, you can gauge the performance of the trading strategy without actually putting in any capital from your end. It also gives you insights into the kind of profitability and risks associated with your strategy. Finally, post-testing you can deploy the algorithm at intraday or overnight order levels. However, you cannot use any margin while you place the order using the algo. Zerodha streak comes back into play and monitors different stocks movements at the same time, based on the kind of algorithm you have set up. Once the criteria are met, you are provided with a notification in your browser. This is the time, you can finally go ahead and place your order (buy/sell). This algo-trading platform is available in the mobile format as well through their Android app (iOS version still needs to be launched). The mobile app works pretty much in the same way as it operates through its web-version. Usability of some of the features of this app can be improved. For instance, there is no ‘Delete All’ option in case the user needs to delete all deployed algos in one go. Few login-related issues observed such as broken dashboard screen, slow loading/performance etc. In rare situations, the back-testing flow may stop working due to high-traffic instances, slow internet connectivity. As of now, Zerodha Streak was free to use until 31st March 2018 when it provided you with 25 backtests a day and 5 algorithms to access at any given point in time. 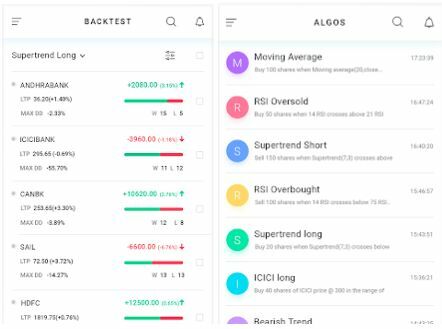 Post 31st March 2018, it has been costing at ₹500 per month as a subscription charge where you will get access to 100 backtests a day and 50 algorithms to access at any single time. In other words, it is going to charge you an extra cost of ₹6000 per year if you choose to use it on a regular basis. Honestly, this is not a huge price to pay as long as you understand how to use Zerodha Streak and you are able to generate consistent profits from this algo-tool. 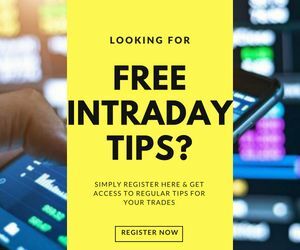 At the same time, if you are a beginner level trade, take a free trial, see how much money you are actually going to put in your trades. Based on the kind of returns you make, you may choose to use this tool. If you choose to subscribe, these charges will be directly be deducted from your Zerodha Trading Account. Since there is a 7-day trial provided by the platform, it is suggested that you should have a detailed view of this application during this period. 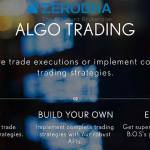 With this trial, you will get a reasonable idea on whether this algo-trading application suits your needs or not. 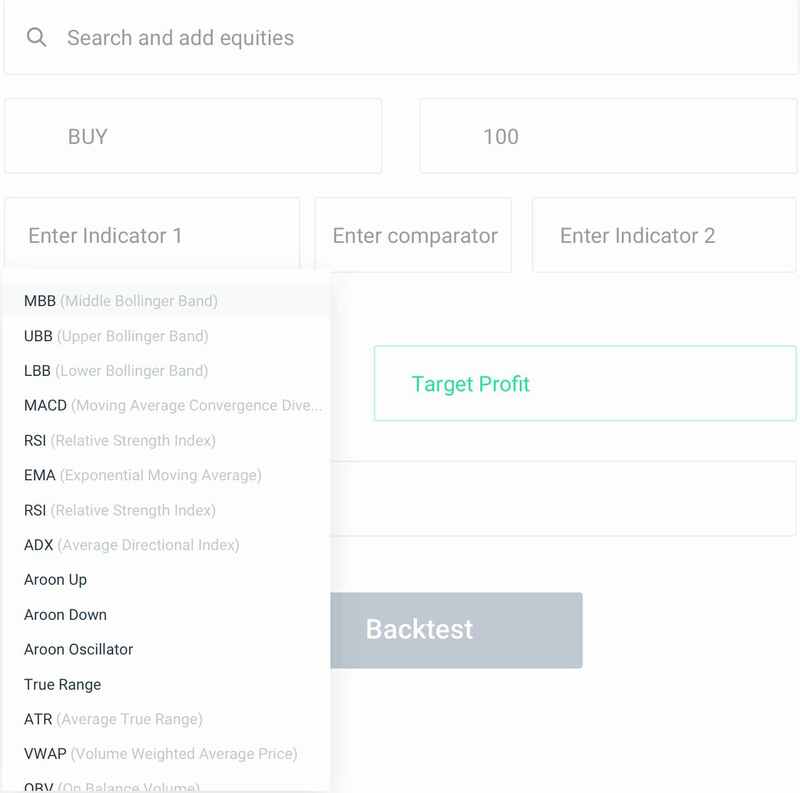 Then, based on your trading experience (beginner/intermediate/expert), your investment objectives etc, you may decide on which variant of this tool to go ahead and subscribe for (or not subscribe at all). Exit based on technical indicators or reversal of a trend. Single click deployment of 5 algorithms will be allowed. You cannot use Zerodha streak for commodity and currency trading. The platform is relatively new and thus, the number of features are limited. Platform looking to get regulatory approval on allowing automated trading. Heavy trades might find 100 backtests a day at a low end. There is no calling facility for customer support. You can email your concerns to the Zerodha Streak team or you may get in touch with Zerodha customer care. You do not need to learn any coding to use this platform in your trades. There is no requirement of you understanding how algorithmic or algo-based trading works. It is just a matter of inputting a few values based on your trading preferences. Suitable for Beginner to Intermediate level traders since it is very easy to use algo-trading application. You can put an intraday or Overnight carry order using this algo-tool. The results calculated are based on the historical performance of the stocks chosen. No need to learn the tool separately and can be directly used through its integration with Zerodha Kite. In case you are looking to have a word with the executive and want to know more account opening, you can provide the details here and a callback will be arranged for you!